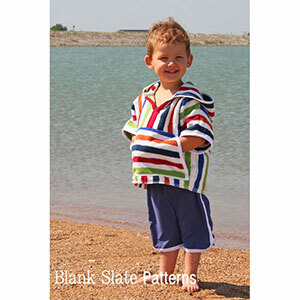 This easy fit pullover top can be made from terrycloth and used as a cover up or an easy fit shirt. Sizes 18 months through 8 years. 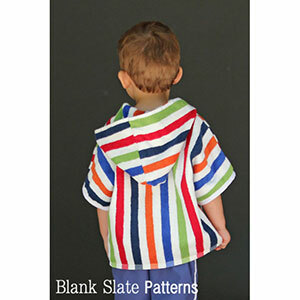 Features: Hood, bias tape bound edges and a front pocket. Sleeves are part of front/back pieces so no sleeves to set in. 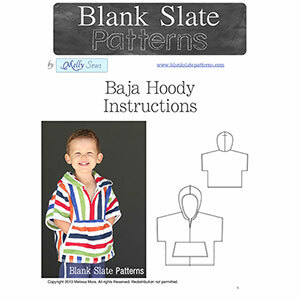 All Blank Slate Patterns print on both US and A4 paper and include both standard and metric measurements. 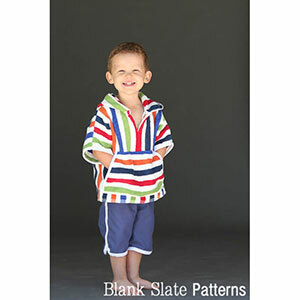 Suggested fabrics are french terry or light to mid weight knits for a different look.